Have you ever thought ‘What is the thing with man bags lately’? From e.v.e.r.y s.i.n.g.l.e runway look to the streets, there seems to be an understanding of man bags being the new black. Or at least a shade thereof. In short, what is a ‘man bag’ and why is this such a hot topic? It’s a smaller size bag, but it is becoming a characteristic menswear piece that plays with the stigmatisation that only women wear bags. In that way, it is becoming slightly political, in a very nonchalant and inclusive way. Looking back, business bags and duffle bags has by far been the most predominant way to carry all of your excess stuff. However, these later seasons we men have been much keener on the thought of not having our pockets filled to the brim with the stuff that we just may need during the day. You know, stuff like a charger, perfume, gum etc. Where the man bag really caught on to me, was with the tote backs. Not the hipster-like cotton totes, which I also use myself. No, my interest was caught at the luxury leather totes, as seen at Gucci about 4-5 years ago. Then with the rise of normcore evolved the backpack trend, and major luxury houses such as Saint Laurent and Louis Vuitton paving the way. The Louis Vuitton Christopher bag is still (to me) one handsome bag! Simultaneous with the backpack we saw the belt bags blossom leading to a large range of cross body bags. And I think that these three jointly is responsible for transforming how men became obsessed with bags. Especially now that the trends have also really caught onto the smaller sizes (and less functional) that you see a lot especially in southern Europe. Even before they became a fashion piece. The way in which the man bag is by far the strongest asset is that it can easily transform a rather plain outfit to a contemporary chic outfit. 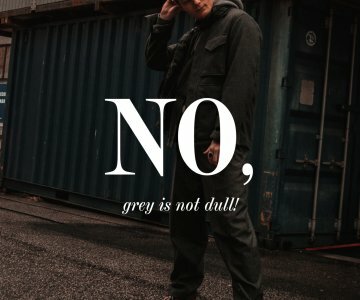 What I personally enjoy the most, is that there are no real rules in regards to ‘how to wear’, like you, for example, see with more traditional menswear. Wear the bag with a suit, a shirt, pretty much anything and it just adds a layer of chicness to the look. It seems unlikely that the man bag will replace the hype of trend sneakers. However, we already have seen a slight shift in focus. Where contemporary media outlets would mainly focus on the footwear of trendsteppers, there is now room for more product categories. And in particular the bags. This trend may predominantly be rooted in luxury fashion with the likes of Fendi, Louis Vuitton and, my favourite, Prada. However, as it is with fashion, where the luxury fashion goes, mass-market will follow suit. At the benefit of the regular consumer with more affordable versions. Unfortunately, this seems not to be available online.